Silk’s Post #105 — When Paula wondered in her last post whether the 5/5/5 exercise of deconstructing a novel was a waste of time – didn’t it make more sense to stop with the procrastinating and diversions and just dive in to writing our own novels? – I admit I was conflicted too. My enthusiasm for getting started on a new project was boosted by our 5/5/5 mini-retreat in Vancouver, and I couldn’t wait to shake off the demons of sloth and get back to writing again. Did I really need this deconstruction side trip? I have what I think is a strong story premise and promising characters. It felt like this was the time to step on the gas, not the brakes. At the same time, I know that building a plot and structure that really works for this story will be an architectural challenge. And I know I haven’t mastered this fundamental skill. Do I really want to spend the next year of my life creating a novel that can’t pass book-building inspection, and is destined to fill yet another bottom drawer for eternity? So I decided to at least try it. The possible up side (finding the magic plotting bullet) outweighed the possible down side (getting derailed from my writing). I figured the likeliest outcome would be that I’d re-read a great book and at least get inspired, at the expense of a quick start on my own story. Well, it looks like I was wrong – in a good way. Let me explain. The thing about learning a delicate craft – like writing – from books, or workshops, or courses, or writers conferences, is that these are a lot like elementary or high school studies. Learning from books and lectures has some major limitations. You can memorize and grasp concepts and follow step-by-step instructions all you like, and at the end you’ll probably have a book. But will it be a good book? A well-constructed book? A book that a smart agent will take a chance on? A book that compels readers to turn the page? A book they’ll actually remember a month after they read it? I’ve read that most new writers essentially learn their craft through trial and error. That’s certainly been my path. But how much of this learning-from-your-mistakes can you do and still remain inspired? Frustratingly, finding out exactly what mistakes you’ve made is a whole challenge in itself. A critique group certainly can help here, but many unpublished writers learn that they’ve (probably) made mistakes through rejection letters – without getting the feedback needed to actually learn from those mistakes. Another of the oft-repeated pieces of advice to writers is to read read read. Read widely, but especially read great writers and learn from them. The theory seems sound: learn by example. Somehow, by osmosis, you will absorb the literary genius of a bestseller and replicate it, with practice. Kind of a monkey-see-monkey-do thing. While reading is an absolute essential for writers, and it’s easy (almost too easy) to mimic another writer’s style and voice, there’s one little hitch in learning to plot through exposure to good writing. As a front-of-stage reader, the backstage mechanics of plot and structure are invisible to you, hidden behind the curtain. That’s the magic. The more skilled the writer, the more opaque are the pulleys and levers and ropes and set and lighting elements that make the whole show work seamlessly. The girl who appeared to be sawn in half emerges whole. The doves fly out of the hat. The magician disappears in a puff of smoke. You, the reader, are simply transported, disbelief suspended. 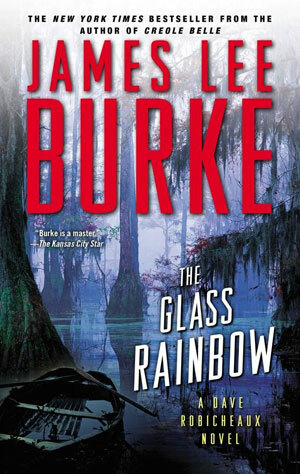 But within the first 10 page of deconstructing my chosen book, The Glass Rainbow by James Lee Burke – using the methodology suggested by James Scott Bell in his book Plot and Structure (see “How to Improve Your Plotting Exponentially”), I realized I had just stepped backstage. This is where the magic gets done. Immediately, secrets began to be revealed. The pulleys and levers became exposed as I watched the master writer at work, behind the curtain, and documented what I saw. The bizarre thing about novel deconstruction is: all you’re doing is reading, but with one difference. You don’t sit in front of the curtain in the audience and let the plot sweep you forward. 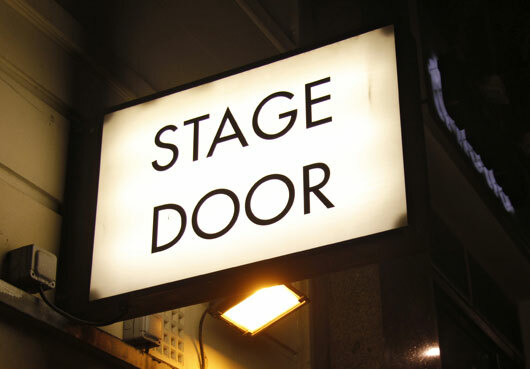 You simply go backstage and stop the action at the end of every scene to examine what the writer has actually done. Every page, every paragraph, every word in the opening of The Glass Rainbow had a job to do. By page 1, the reader had been sucked into the humid, decaying world of a marginalized and lawless society, set at the slow-simmering pace of the deep South. By page 2, the reader had seen inside the sleuth/protagonist’s heart-of-hearts and come to understand what he values, what he fears, what drives him. By page 6 the troubling circumstances of the crime that triggers the whole plot, and the challenges of achieving justice in this case, had been introduced. All this was accomplished in 2 scenes and maybe 2,000 words. The magic? Even though the pace was as unhurried as a road gang prisoner sweating over his labour under the noonday Mississippi sun (the setting of Scene 2), the reader on the audience side of the curtain had quickly been swept deep into the plot and hooked on the story, the characters, the setting … the mystery of it all. And now that I’ve been backstage, I have a good idea how James Lee Burke did it. For me, this exercise is not a diversion from writing. It’s an internship with a master. This entry was posted in Plot & structure, Reading and tagged deconstructing, James Lee Burke, James Scott Bell, plot and structure by Silk Questo. Bookmark the permalink. When are you going to NZ?! We’ll be there Jan 11-31 — 10 days in Auckland ( North Shore) with car, then a week of bareboat sailing charter in Bay of Islands, with 3 days back in downtown Auckland at the end. Wanted to stay longer and do both Islands, but (as you know) it’s not easy to get the house & farm & critters looked after for an extended period, especially in winter. The downside of being tethered to “stuff”. Will you be there anytime during our stay? That would be a treat! We arrive probably on the 5th and stay for 6 weeks. Let’s keep in touch and try and hook up in NZ! Your mention of reading and forgetting to look for how a writer has created his/her magic is one of my regular complaints. A good book will capture and captivate me, and I’m suddenly at the end before I remember I wanted to examine the journey. I don’t like re-reading novels, but it’s usually the only way I can pace myself through a deconstruction. Thanks for your comments Carol! I’m just on my way back home from SIWC right now, and have learned a ton (as always) and discovered some very promising resources to help me master the art and science of story structure. I’ll report on my (hoped for) progress and what techniques and advice I found helpful! Thanks JM — I’ll no doubt have more to report about this. I think it will be very revealing, and choosing a few different books would really show both the commonalities and unique ways that great authors make their stories come together. Dave Robecheaux is one of my favorite voices, though he’s not my voice. I’m going to have to go back over James Lee Burke and see what’s behind dave’s voice. Charles dickens, and third person narrator, in another of my favorite voices, though far from my voice. I’ll have to learn more about novel deconstruction.